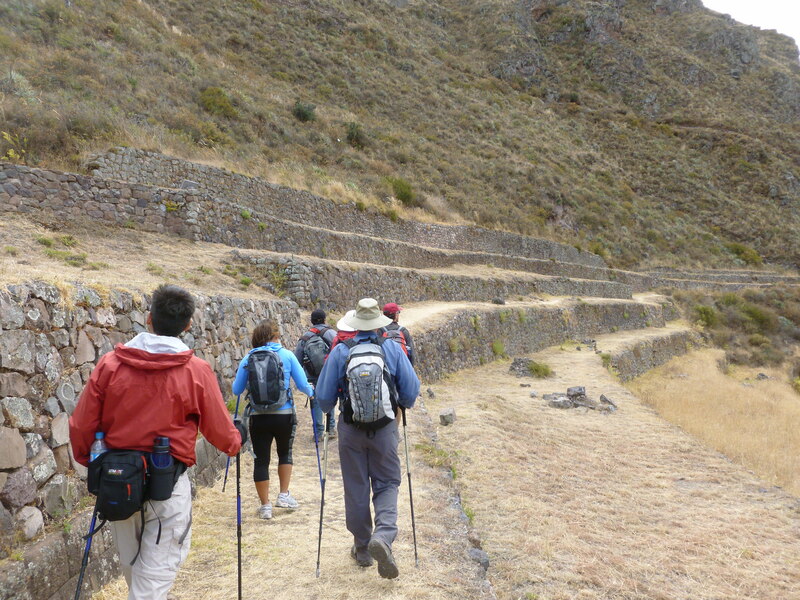 Our first organized hike was to the Pisaq Ruins. 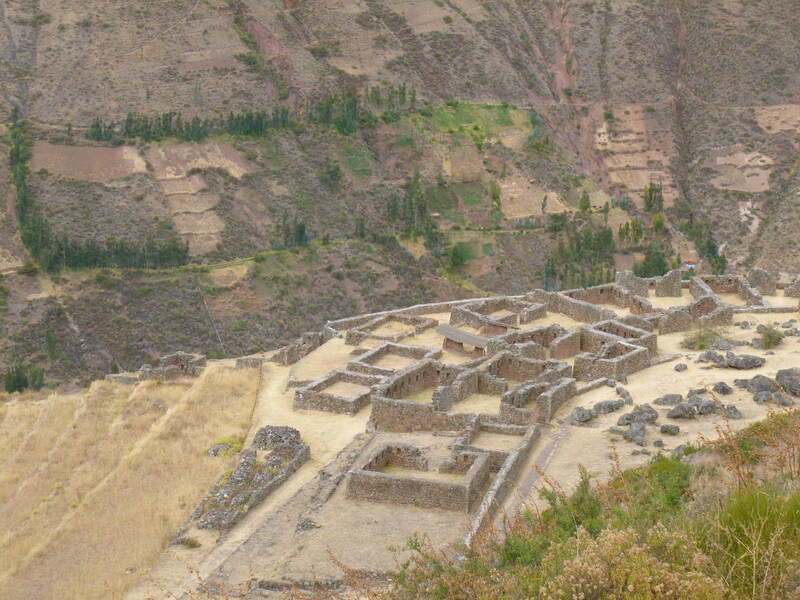 Located several miles outside of the town of Pisaq, they are a very popular tourist destination because they offer a glimpse into many different details of the Incan culture. 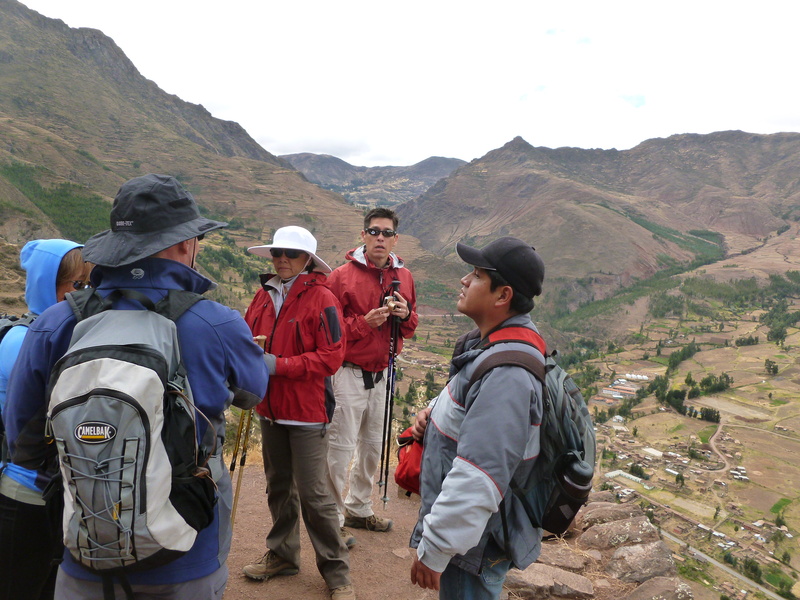 Our guide – Edward – provided a lot of detailed information that I will attempt to capture here. 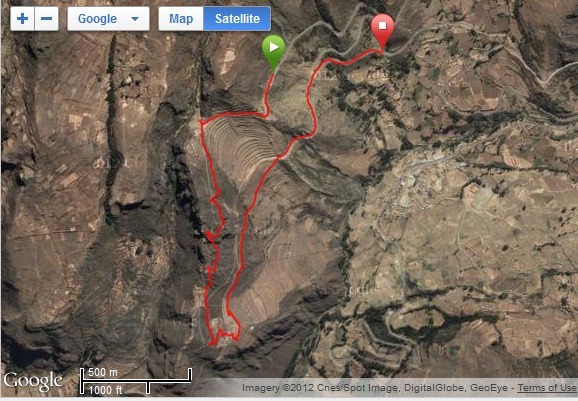 Also, he took us well beyond the well-trodden tourist locations. 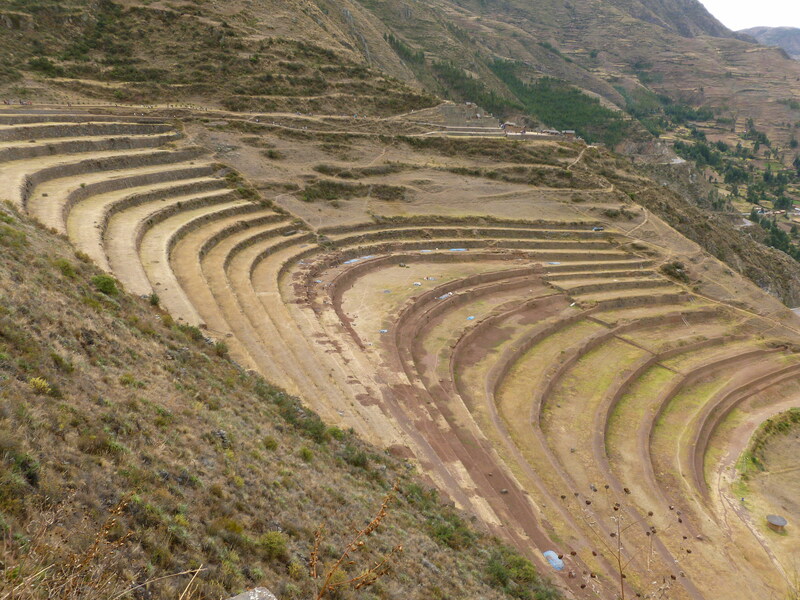 The Inka are best known for their ability to build walls that created a system of terraces that made it possible and even efficient to support agriculture on the side of the mountain. 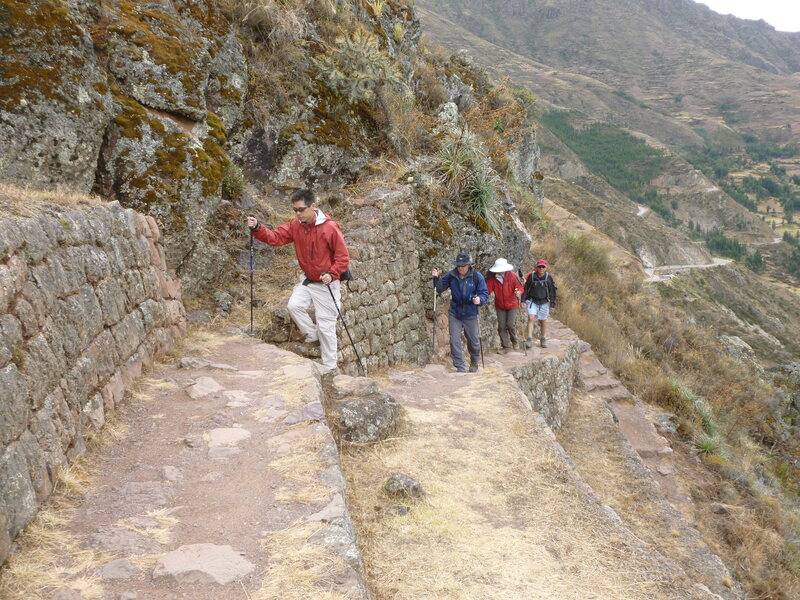 The key to the Incan’s ability to build walls was the level of precision in shaping the stones. Their walls were assembled without mortar, yet have survived hundreds of years. Because they fit together so well, the walls were very strong and is part of the reason they still stand today. 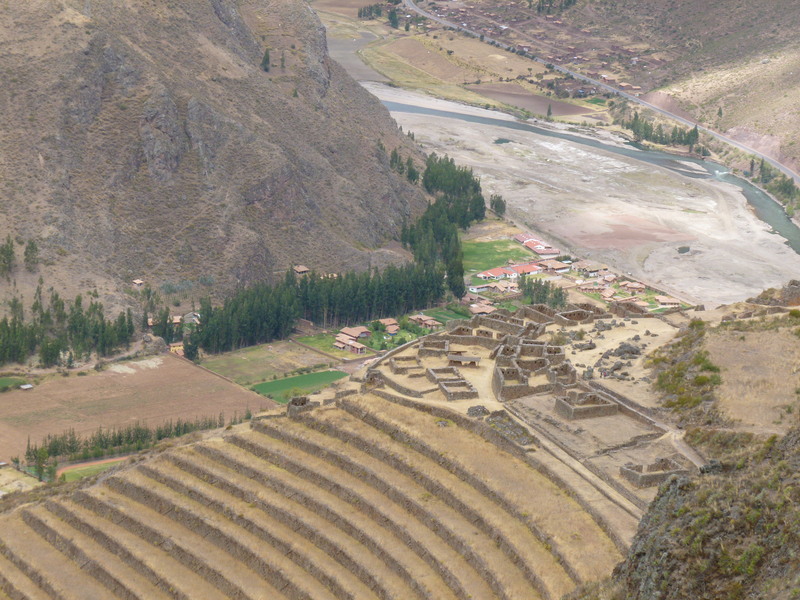 The terraces climb up the mountain sides hundreds of feet. Each of these walls is about five feet tall and the horizontal portion is about 25 feet deep. 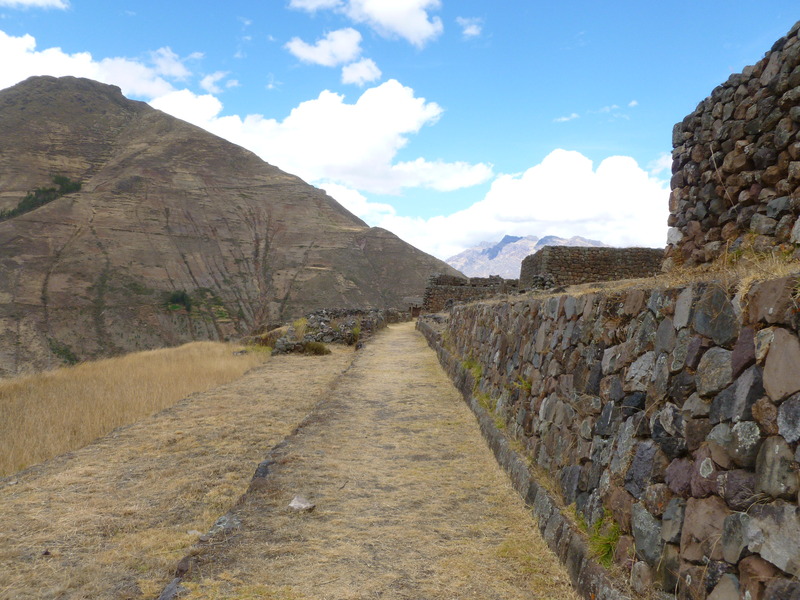 While the Inka walls have lasted for hundreds of years, they are in need of repair. Ironically, their lack of use has led to them being weakened. The roots of the crops they would grow act as part of the support and infrastructure of the terrace. Now that they are abandoned, they are more susceptible to erosion. 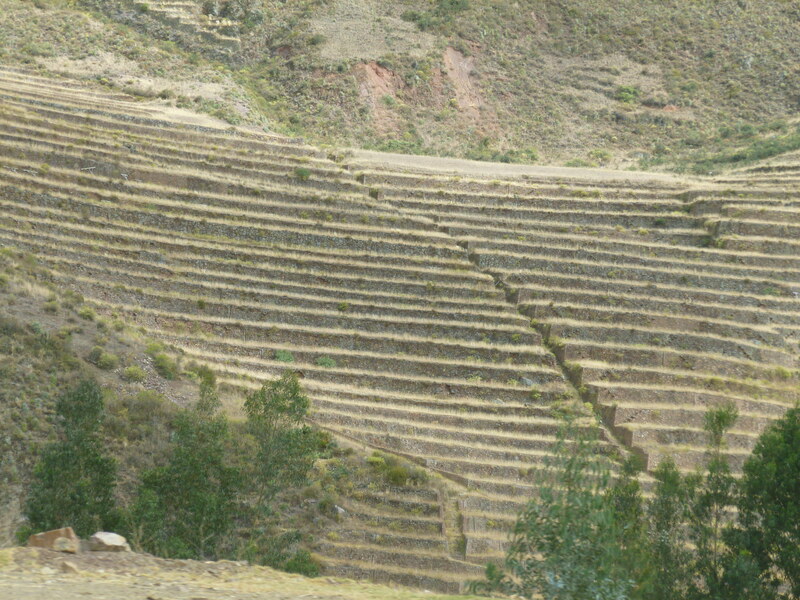 As shown above, the federal government is actively working to repair and preserve the terraces. 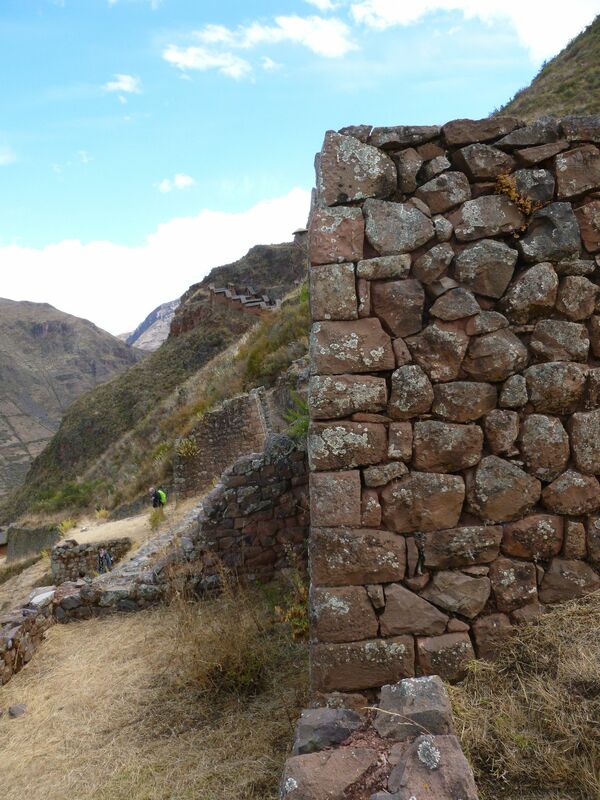 The use of stones to build walls supported more than just agriculture. 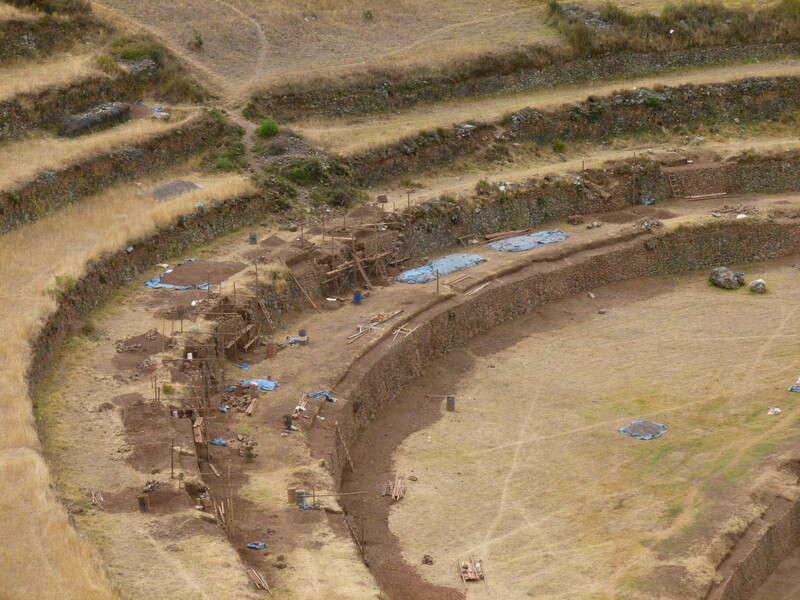 The Incans built dwellings, storage areas, and structures of ceremonial importance as well. 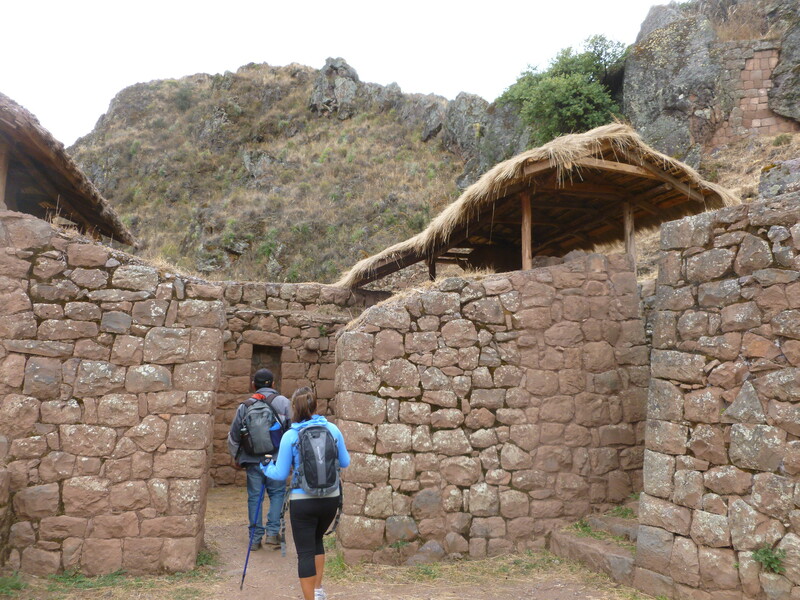 The Incan dwellings were little more than a shelter from the elements. At times, their idea for roofs were very different from current thinking. 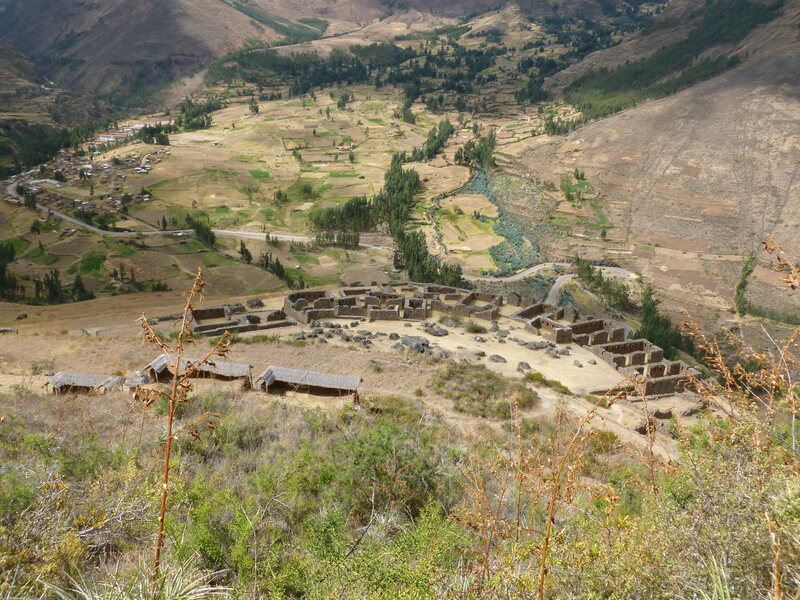 The roof covered a very small portion of the dwelling to protect food or other goods that might be damaged by rain. 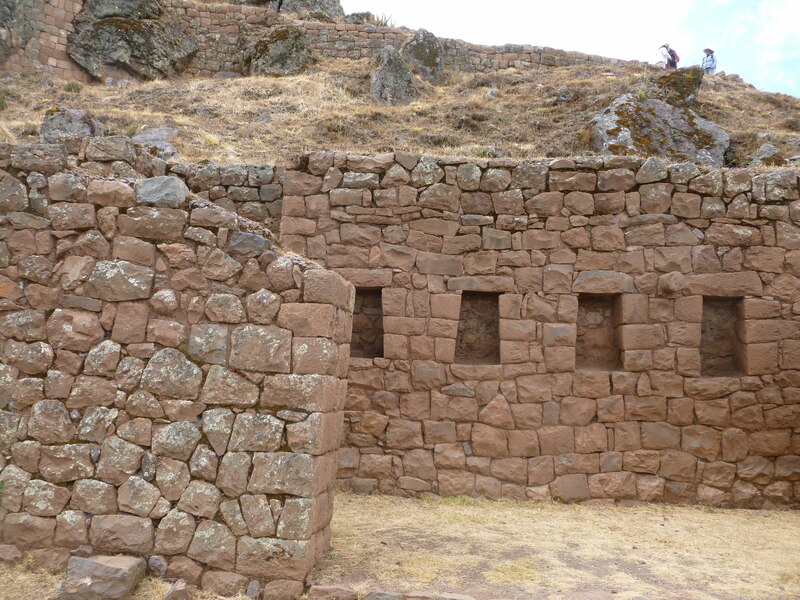 The cut-outs in the wall were likely used to store tools or other possessions. 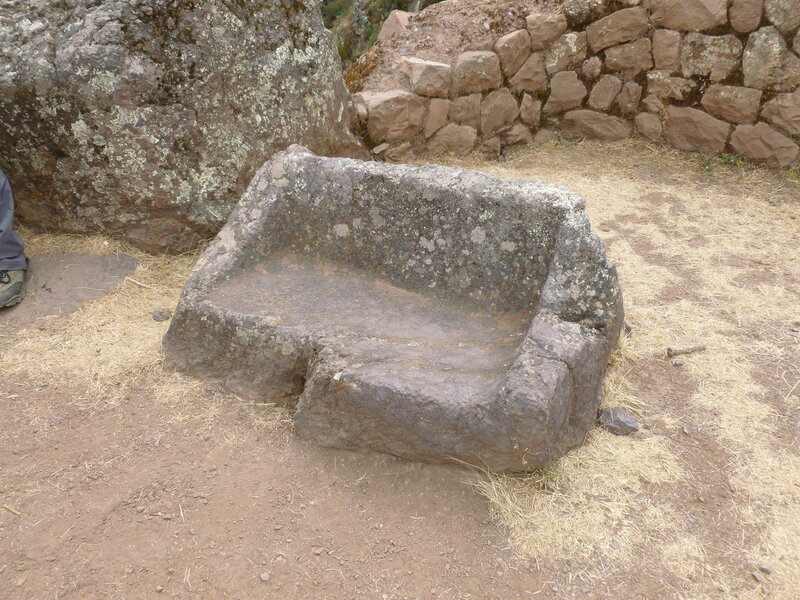 This is a ceremonial table used to welcome the solstice or other special occasions. It’s also unusual because it is a “parental rock” meaning it existed in the ground and was carved to this shape, rather than moved there. This is another parental rock with special meaning. 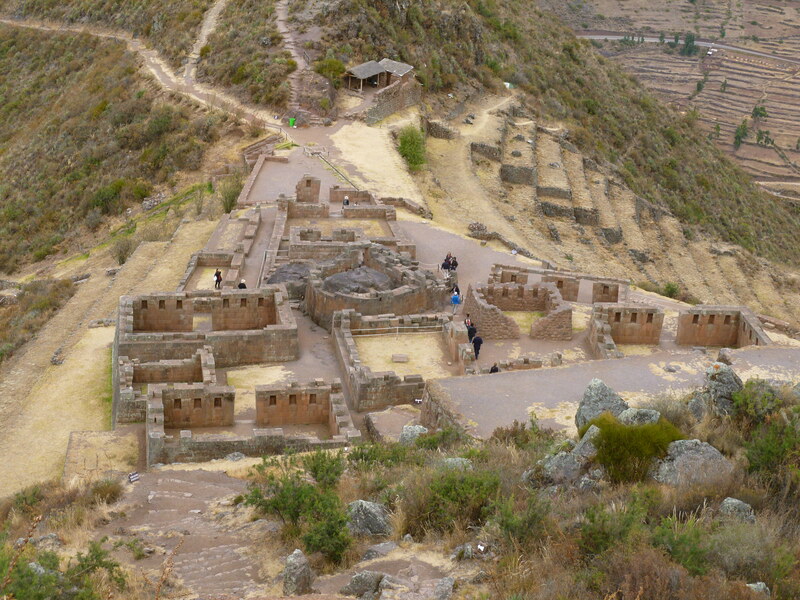 In the Incan culture there were three levels of life. The underworld is represented by the snake and is the beginning of all life. The middle level is represented by the puma. Finally the condor represents the afterlife. 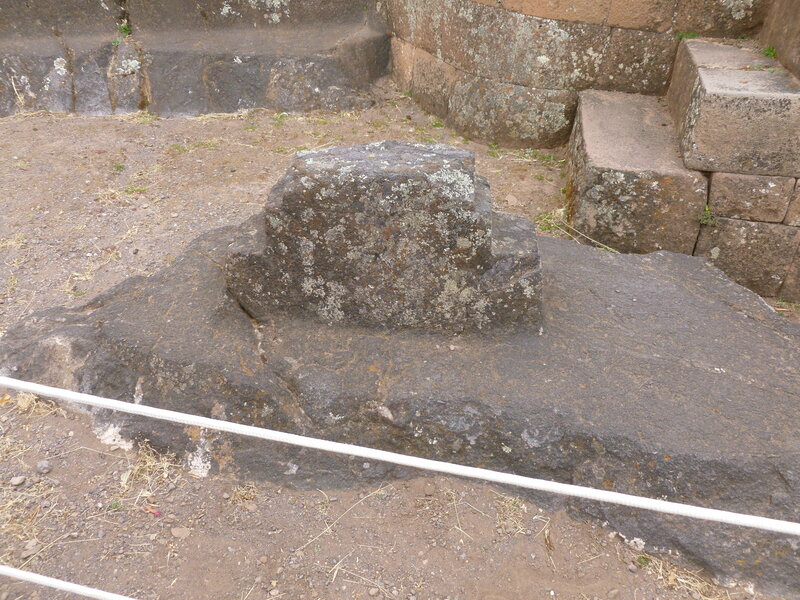 The three steps in this stone represent the three levels of life. 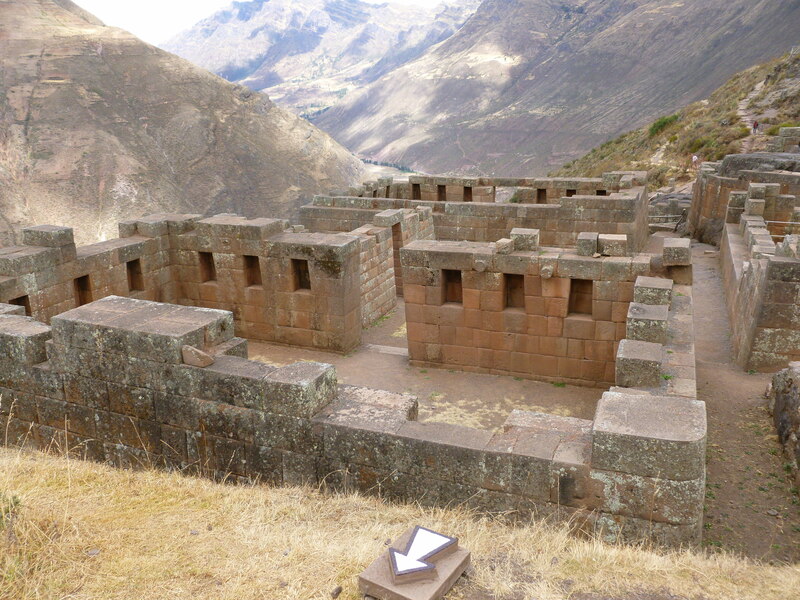 The views of the Incan structures are amazing. For the most part these are untouched from their original creation approximately 600 years ago. 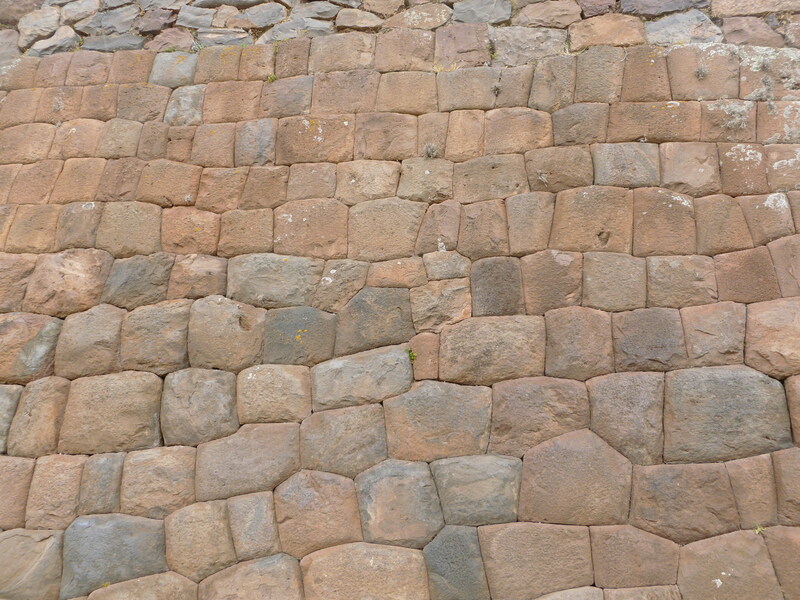 Besides the carefully crafted stones, one of the secrets of the Incan walls’ longevity is in the design of the wall itself. The walls are designed to be thicker at the bottom and slant in towards the hill to provide a strong foundation. Because of this some walls are 30+ feet tall. It is a little surreal to be walking on top of such an interesting part of history. 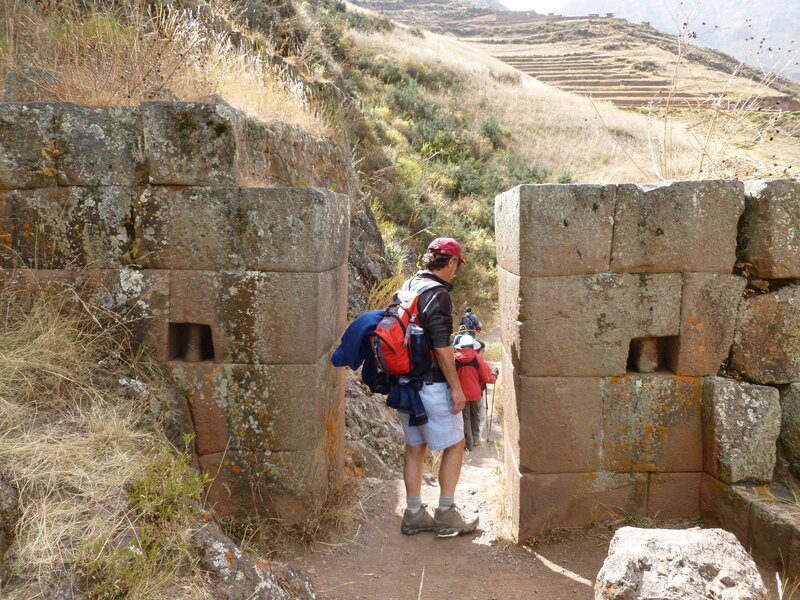 The Inka did not have a concept of doors that would be open and closed, locked and unlocked. Instead their concept was one of a passage way being blocked or not. For example, this is the entrance to a burial ground. 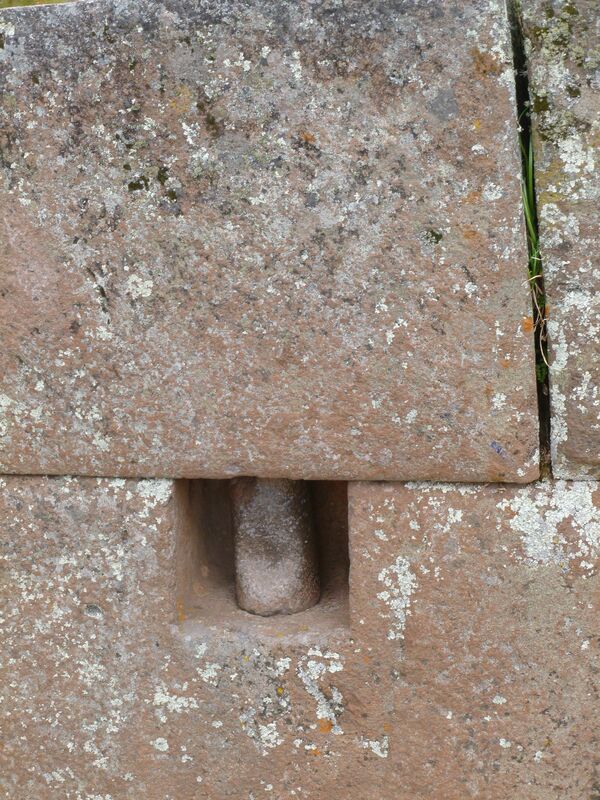 It would normally be completely blocked by supporting a structure that is lashed to the round stones. The design of these round stones and their precision is amazing.